I recently spent a day with Tayabali Tomlin’s CEO – Aynsley Damery. Between implementing automated Infusionsoft systems and innovating news ways to provide even greater value to clients, we got talking about what accountants need to do to thrive in today’s post cloud accounting world. Aynsley explained that business owners don’t want you to do their accounts and tax returns. Instead they are looking for help in growing a sustainable, profitable business that has options to exit. 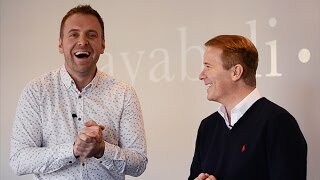 In this insightful interview, Aynsley shares his passionate views on this and gives us a glimpse as to how Tayabali Tomlin have become one of the leading, award-winning firms of accountants in the UK. With special thanks to Aynsley Damery and Tayabali Tomlin for these insights and a wonderful day all round.